The responsive design includes a large slide show on the home page and obvious link to their availability. 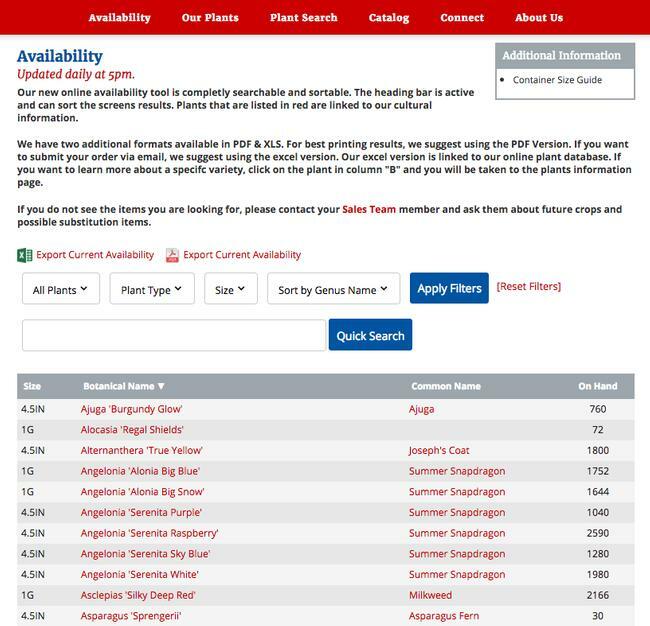 The availability is updated multiple times per day and can be filtered to the types of plants their customer is interested in. 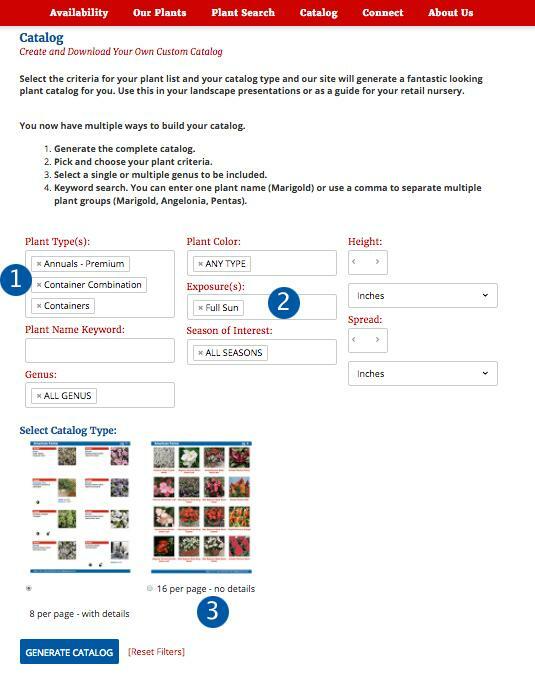 Website visitors can create their own catalog from currently active plant records. They can include plant types they are interested in (1), Sun Requirements (2), etc. and then pick from one of two page layouts (3). 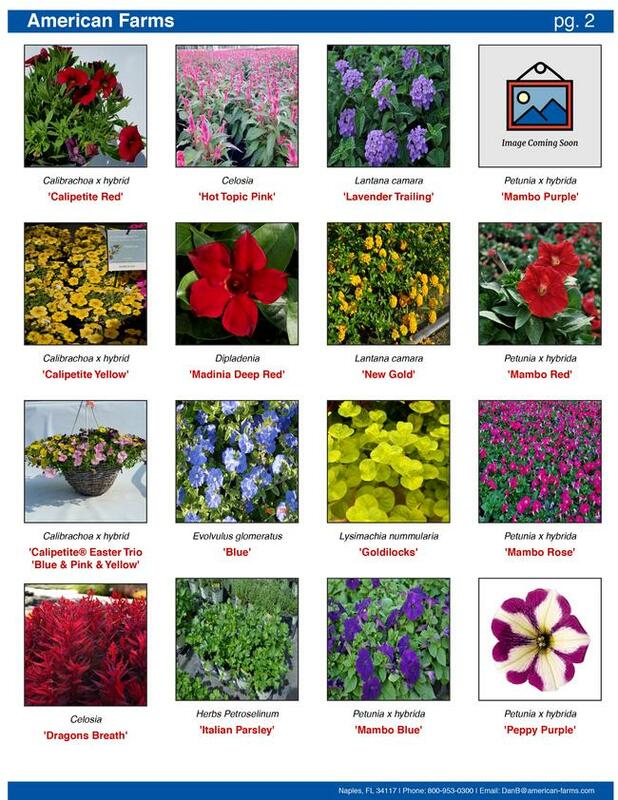 One of the page styles has 16 plants per page with only a picture and the plant name. 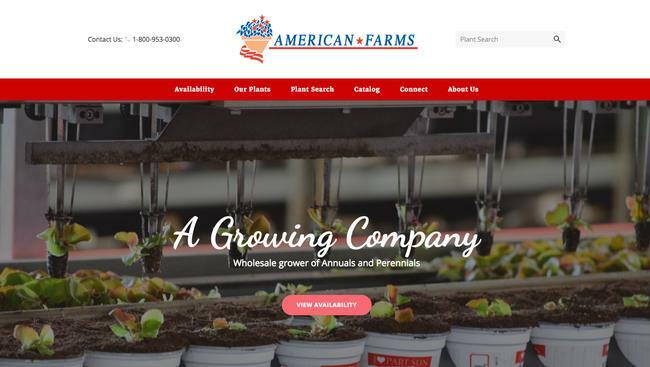 American Farms is a large annual and perennial grower and ships throughout the state of Florida and beyond.